You certainly know Tesla, the car brand launched by Space X's Elon Musk. It's an electric car that has had its ups and downs in its relatively short life. Musk is always looking to the future, though, so each of his current major companies continues to innovate in an effort to stay ahead of the market. This week the company announced its latest offering, simply called the Semi. 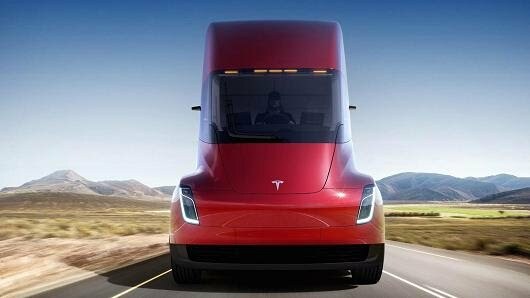 The product -- as the name implies -- is an 18 wheeler which looks similar to those you see on roads every day, but perhaps a bit more sleek. So, who wants a product such as this? Apparently retail giant Wal-Mart is on board. The company has pre-ordered 15 of the big trucks -- five of them for use in the United States and ten that will be heading across the border into Canada. "We have a long history of testing new technology -- including alternative-fuel trucks -- and we are excited to be among the first to pilot this new heavy-duty electric vehicle", Walmart states. The truck is of limited use at this early point. It has a range of approximately 500 miles and it will not be released until 2019. Wal-Mart currently has around 6,000 trucks in its fleet, so this will initially be a small dent in the current standard.